For thousands of years, man has found a companion in the dog. As time has passed, and both species have evolved, the dog has found his role in the myth and folklore of many cultures the world over. While many people in the modern Pagan community tend to be drawn towards the aloof and noble cat, it’s important that we do not overlook the magical nature of dogs. Although they are typically associated with death in European legends, they are also symbolic of loyalty and the bonds of friendship. In ancient Egypt, Anubis was the jackal-headed guardian of the underworld. He is typically portrayed as half human, and half dog or jackal. The jackal has connections to funerals in Egypt, bodies which were not buried properly might be dug up and eaten by hungry, scavenging jackals. Anubis' skin is almost always black in images, because of his association with the colors of rot and decay. Embalmed bodies tend to turn black as well, so the colors are very appropriate for a funeral god. For the Greeks, Cerberus, the three-headed dog, guarded the gates to the underworld. Once a soul had crossed the River Styx, it was up to Cerberus to prevent anyone from escaping. Cerberus served as an influence in the Harry Potter books, when Rubeus Hagrid finds himself in possession of a large three-headed dog named Fluffy–and Fluffy too stands guard over something important. In the mythology of the British Isles, there is a nocturnal creature known as the Grim. A black dog with glowing red eyes, he appears in the night to foretell death. Sir Arthur Conan Doyle made use of the Grim as a plot device in The Hound of the Baskervilles, and J.K Rowling’s character Sirius Black, the guardian of Harry Potter, often appears in the form of a large black dog. An interesting aspect of the stories of the Grim is that each area seems to have its own distinct black dog, and many of them have been given names throughout the centuries. If a black dog is seen, he is assumed to be there in preparation for bearing a soul off to the afterlife. In many cultures, a howling dog represents something foreboding. If a dog howls as a baby is being born, the child will grow up to face all sorts of hardship and struggles. “Argos passed into the darkness of death, now that he had seen his master once more after twenty years." Some Native American tribes believe that seeing a trio of white dogs means good fortune is on the way. This is a sharp contrast from the European superstition that dogs are bad omens. While a howling dog during childbirth may mean a life of discontent, a dog licking the face of a newly born infant guarantees that the child will be quick to heal from injury or illness. In some parts of the southeastern United States, it is believed that a dog eating grass indicates that it will soon rain on your crops, but it also indicates that you will soon be cleaning your carpets. 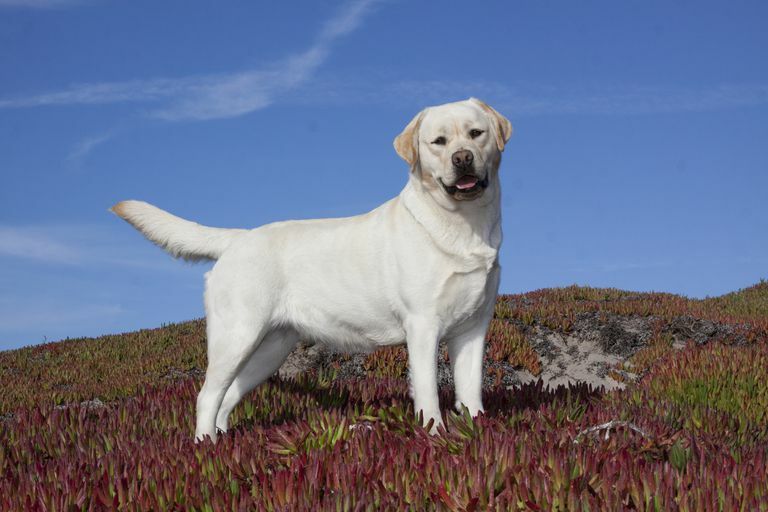 Certain breeds of dog are associated with good fortune in different parts of the world. Poodles and Dalmatians are both considered lucky dogs, particularly if you pet or scratch them before you leave the house. In some countries, the magical properties of a dog are determined by its colors: a golden colored dog is associated with prosperity, while a white pooch is associated with romance, and black dogs are symbols of protection of your hearth and home.